Built as a wooden brig by the Plymouth Dry-dock for the Royal Navy. April 1840 keel laid down. 28 March 1842 launched as HMS PHILOMEL one of the Alert class. Tonnage 358 ton (bm), dim. 95 x 30.3 x 13.6ft. Armament: 6 – 32pdrs., later replaced by 8 – 18pdrs. guns. The Alert class was built and fitted out as mail packet brigs, but HMS PHILOMEL was fitted out as a survey vessel. She was a unit of the South America Station after 1842. 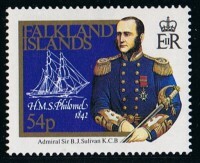 02 April 1842 under command of Commander Bartholomew James Sullivan. 25 July 1842 under command of Sullivan she sailed from Plymouth and via Rio de Janeiro she reached the River Plate arriving Montevideo 3 October the same year. 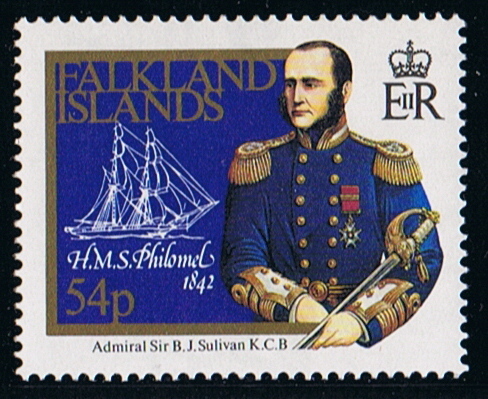 14 October she sailed from Montevideo for the Falklands for survey work on the island, returning in Montevideo on 1 April 1843. At that time Montevideo was blockaded by land forces under command of Oribe and the town expected also a blockade by the squadron of Rosas. The marines of the British ships in port were landed to protect British interests. 26 October 1844 the PHILOMEL sailed again for the Falklands for survey duty, returning in Montevideo on 19 April 1845. From then she stayed on the River Plate participating in the Anglo-French action in Uruguay. 19 March 1847 under command of Commander William Cotterell Wood on the west coast of Africa. 04 February 1850 under command of Commander Thomas George Forbes, still at the west African coast. 02 August 1853 under command of Commander John MacDowall Skene, west African coast. September 1857 Coast Guard watch vessel. 25 March 1863 renamed CGWV. 23. 1869 She foundered on the Swale, Isle of Sheppey. 26 February 1870 the wreck was sold to Hayhurst and Claspers for salvage and breaking up.